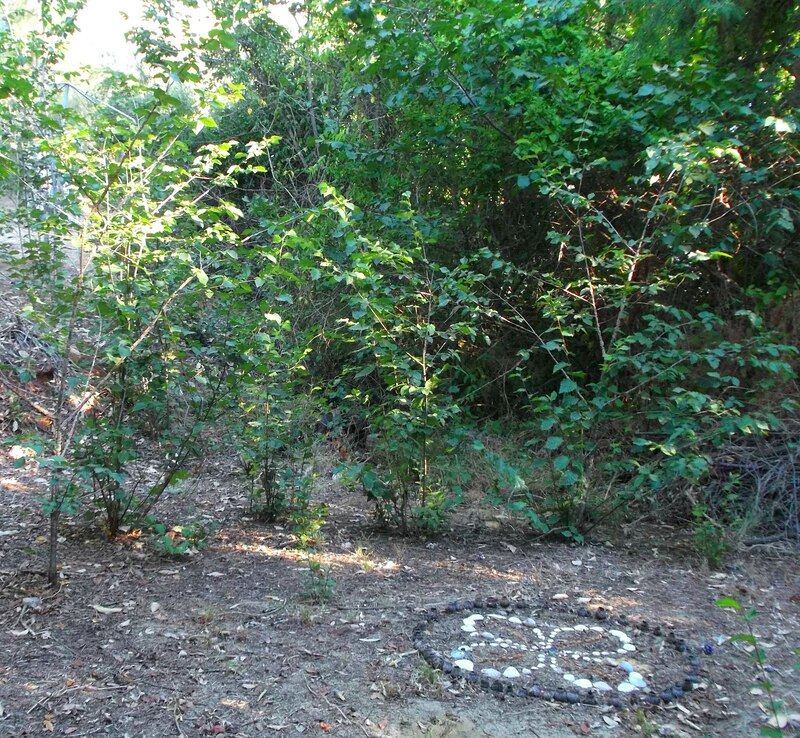 The ‘journey of the Grove’ began when I moved house early last year, and a long-dormant ley line node into Gaia’s heart grid located in the garden, started to activate. I’ve spoken of various stages of this activation in bits and pieces through last year, but will now give an overview, including the role of star family, who guided and orchestrated this process all the way (and still do). 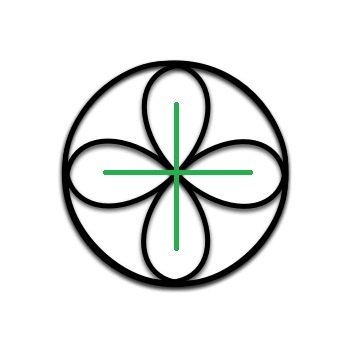 We’re sharing this as one example of openings and higher frequency activations and anchorings taking place all around the planet, not only major and minor hubs in its light grid, but smaller nodes – thousands of mini-nodes and micro-nodes like this one – that collectively act, in the network of light, to bed the 5-6D vibration of Gaia into and through 3D. The micro-node in this garden opens its channel from Gaia’s Core through the centre of a grove of beech trees on a ledge about twenty feet across. 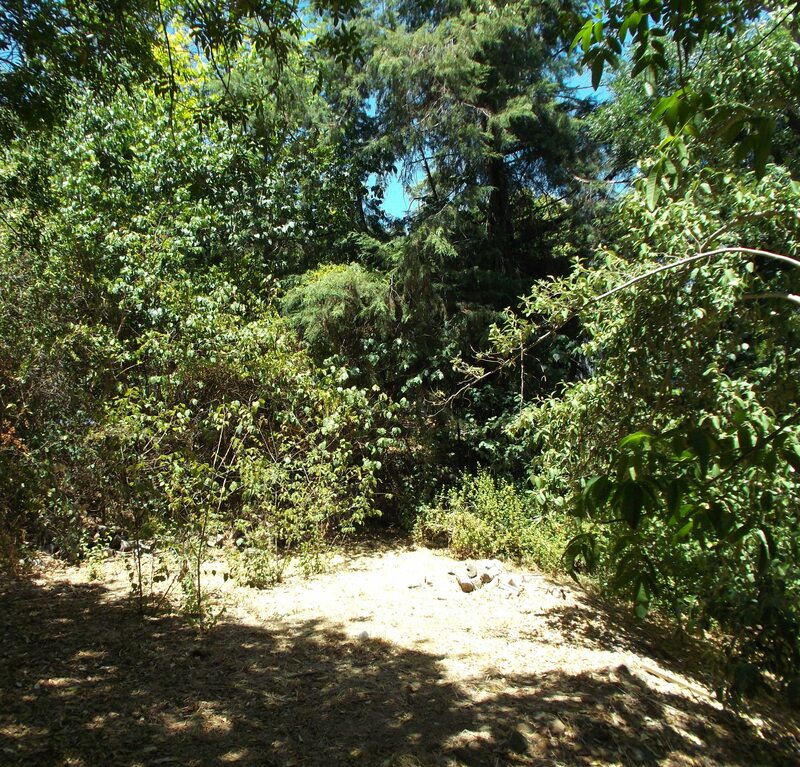 Before moving here, I kept seeing an emerald to be placed in the garden, felt the heart energy of the land, and was drawn to the beech trees, which are very rare to see growing in this area. 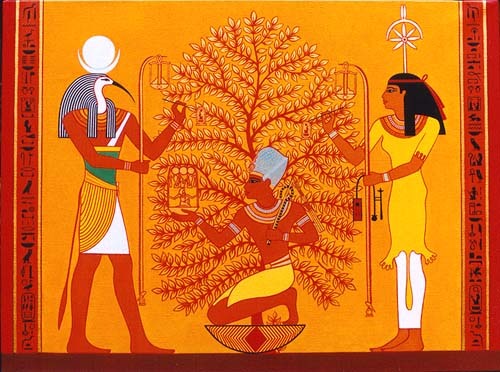 Ashtar and Sesherat guided setting up for the activation, which began with connecting to the beech trees (and their relationship to Ashtar and Sesherat in their incarnations as Thoth and Seshat, which you can read here). 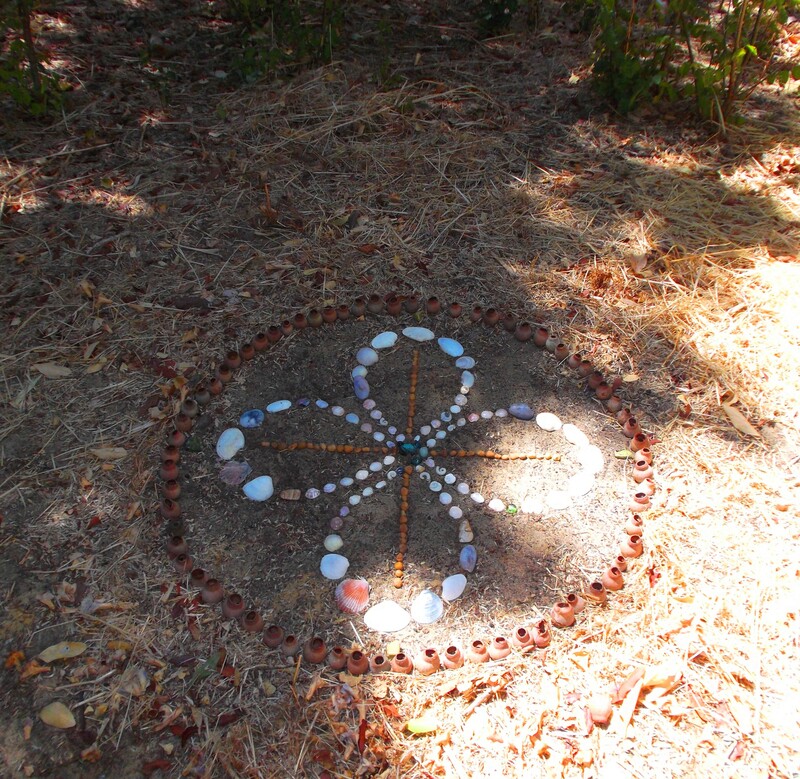 I was guided to create a tetracross (four-petalled rose cross) in the middle of the grove, with specific numeric values, using natural materials from the garden, and an emerald in its centre. Without going into all the symbolism, it is connected with Twin Flame energy: the tetracross is a doubled infinity, also two number eights crossed over, to which we added an equilateral cross inside the eights (two 1’s crossed over). 1 and 8 are the shared birthday number of my twin soul Bareld and me (18, the Hebrew number ‘chai’ means ‘life’). 18 doubled in 36, 36 doubled is 72, 72 doubled is 144, which is expanded infinitely by the circle (made of 80 gumnuts, like little cups/grails), 8 and 0, the infinite circle of life. 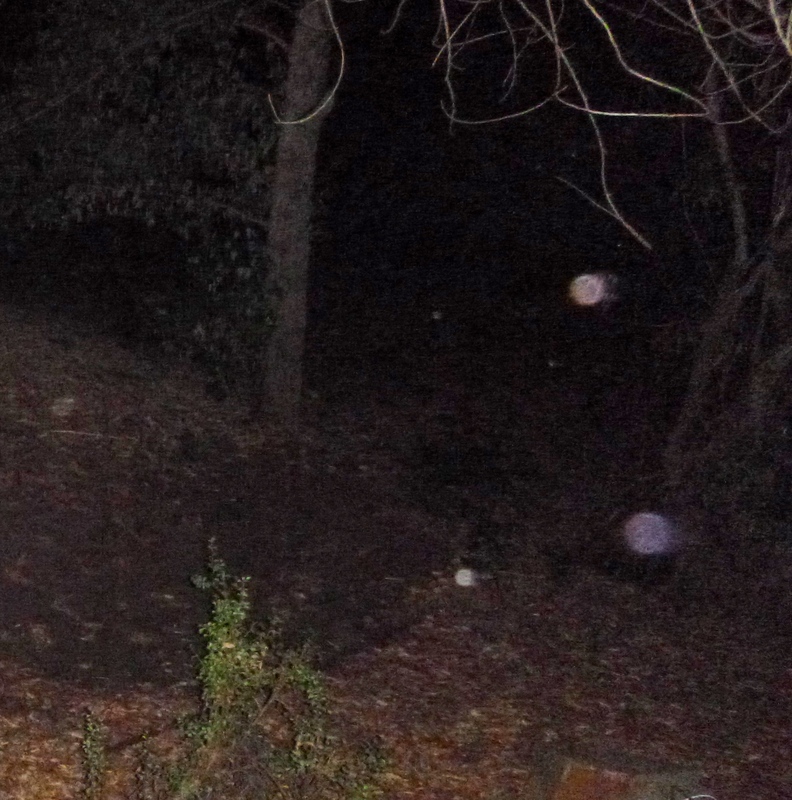 As soon as the circle was complete, Orbs began to arrive in the grove. 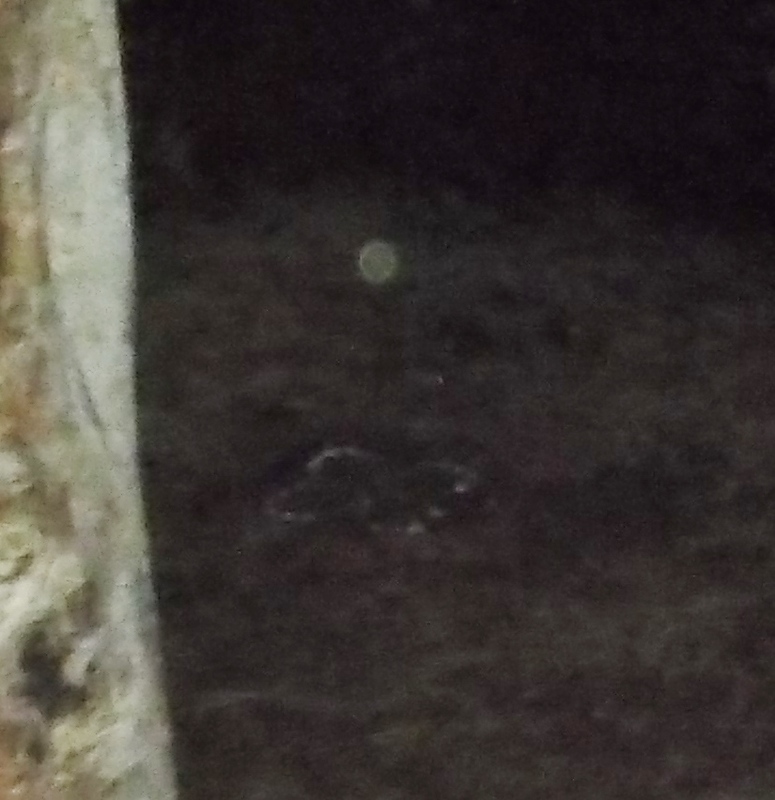 Some were guardians and star family, others were souls drawn to the activating light frequencies for healing, like the two below; the second had a large ‘hole’ in it (representing an auric tear) and was accompanied/assisted by two small orbs. 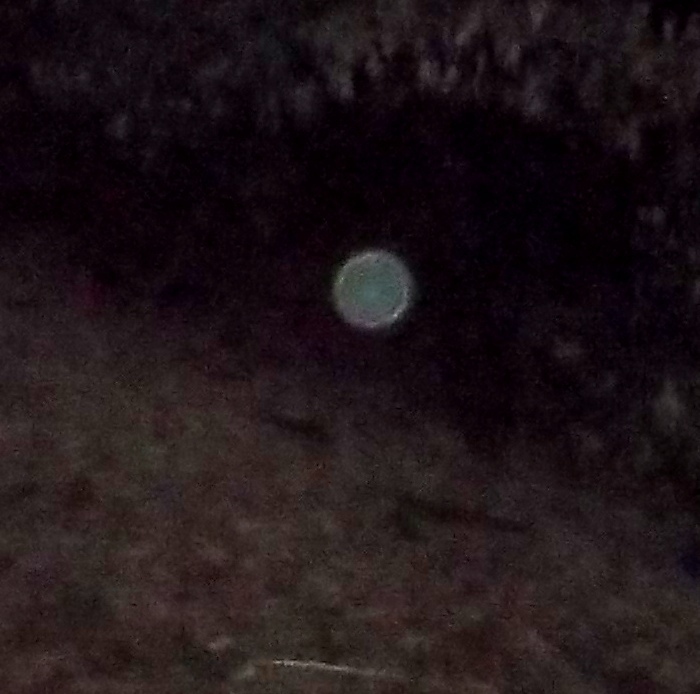 Orb with large hole arrives for healing, assisted by two small orbs. 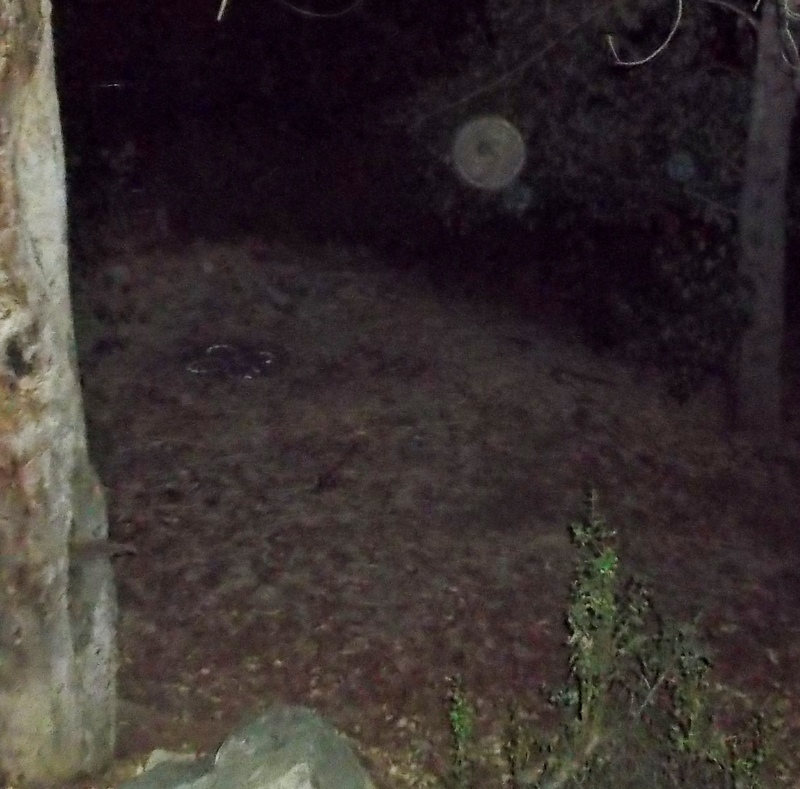 At that time, Orbs began positioning themselves over the circle constantly, aligning and preparing the opening of the channel, and Ashtar appeared semi-visible beside the circle. 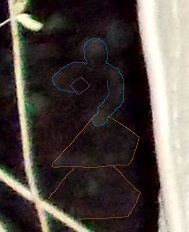 You may be able to see his head, shoulders and sash in the photo below. 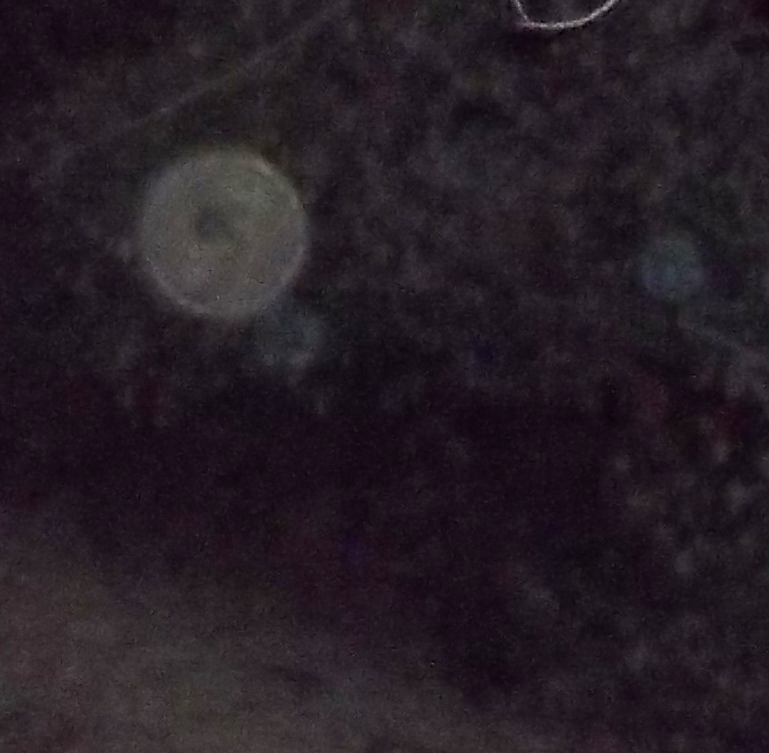 Photo 16-2-14 Ashtar semi-materialized upper right of the circle; head, shoulders, upper chest with diagonal sash visible. 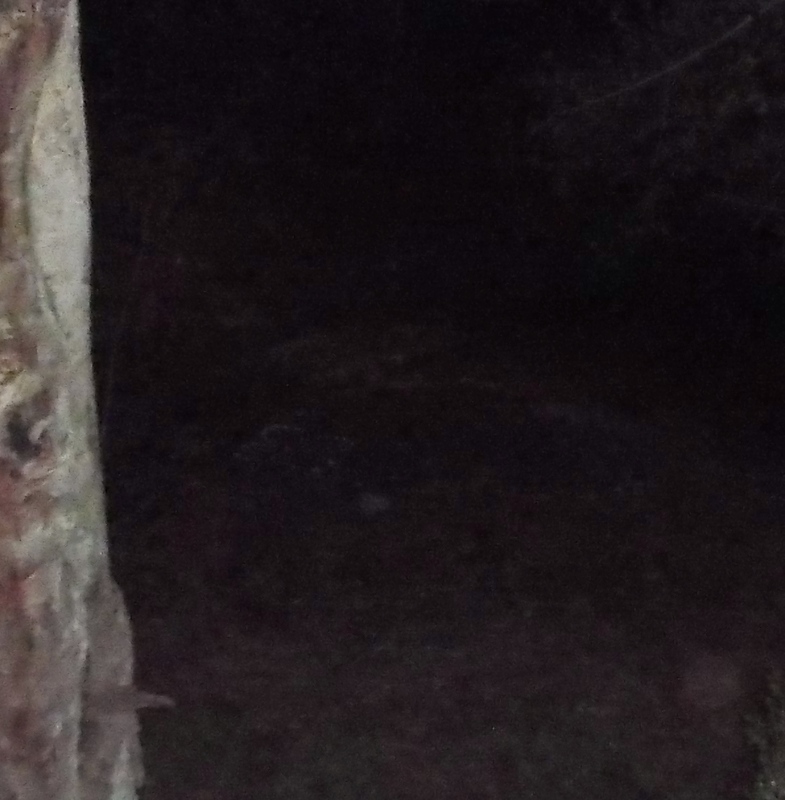 Other than an occasional bright-flashing Orb, star family don’t show their light-forms brightly in the grove, as the neighbours’ house is very close to that side of the garden! Ship landings have also been deeply cloaked. 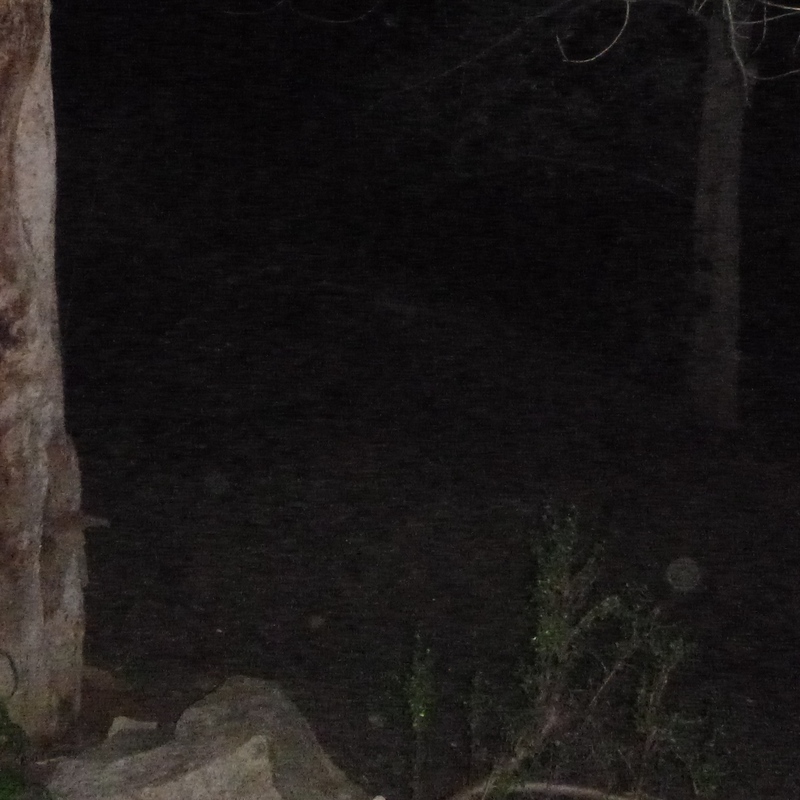 Bright orbs in the grove. 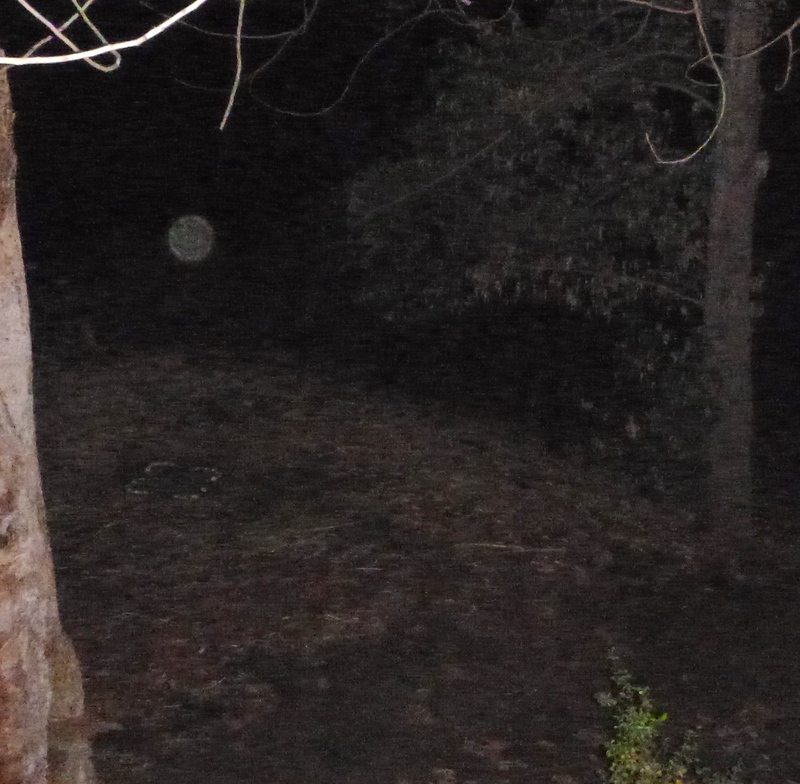 More orbs entering the grove. 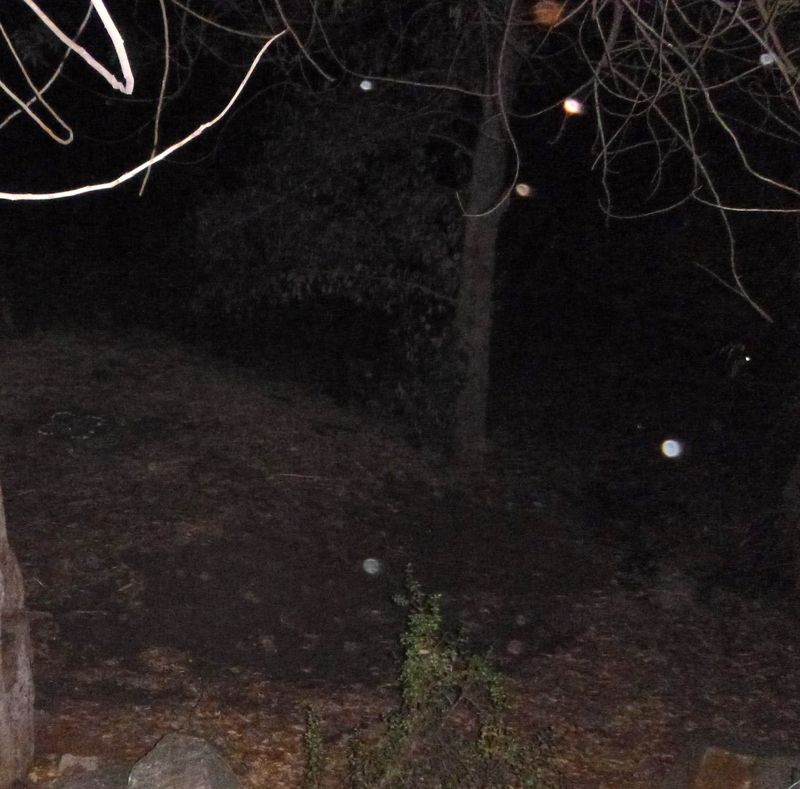 Below are a series of Orbs progressively unlocking and aligning the light channel, with photos taken over several nights. 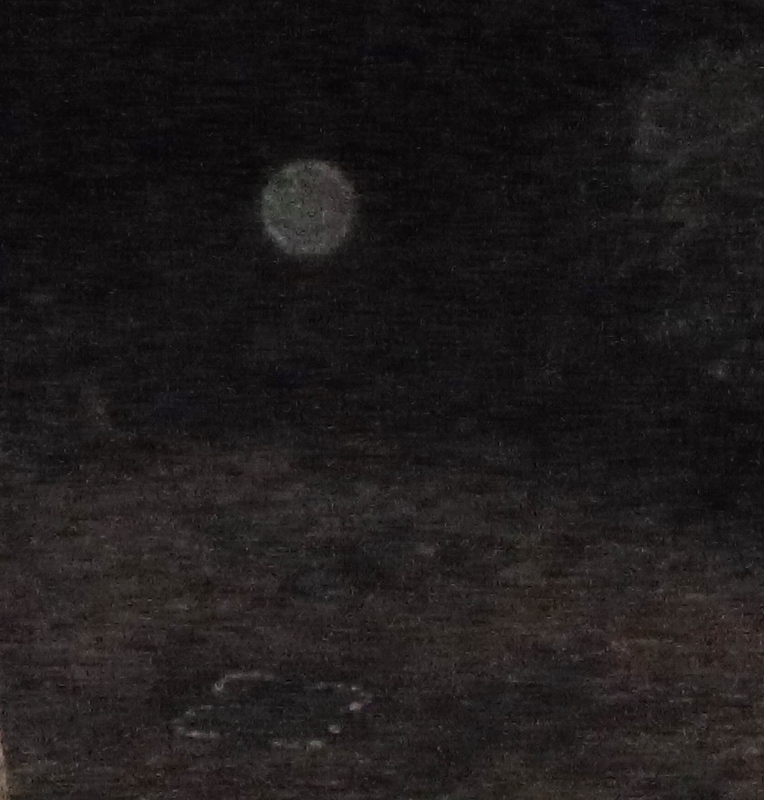 You can see them stationed directly above the circle at different heights, including on the ground. My Twin Flame, Ashura, then anchored the Shem Arua’s core into the node (in 5D), and remained there for 10 days while the ley line opened, flowed and settled. As the block here is on a steep hillside, different parts of it corresponded with different levels of the ship, so the house was at the level of the ship’s upper deck. I can’t really put this into words. Through those days, it was akin to the feeling you get when someone is standing right behind you – people moving around me all the time, in a higher frequency, which translated at moments as flashes of light in front of my eyes and the most wonderful feeling of deep familiarity, peace, warmth and oneness. 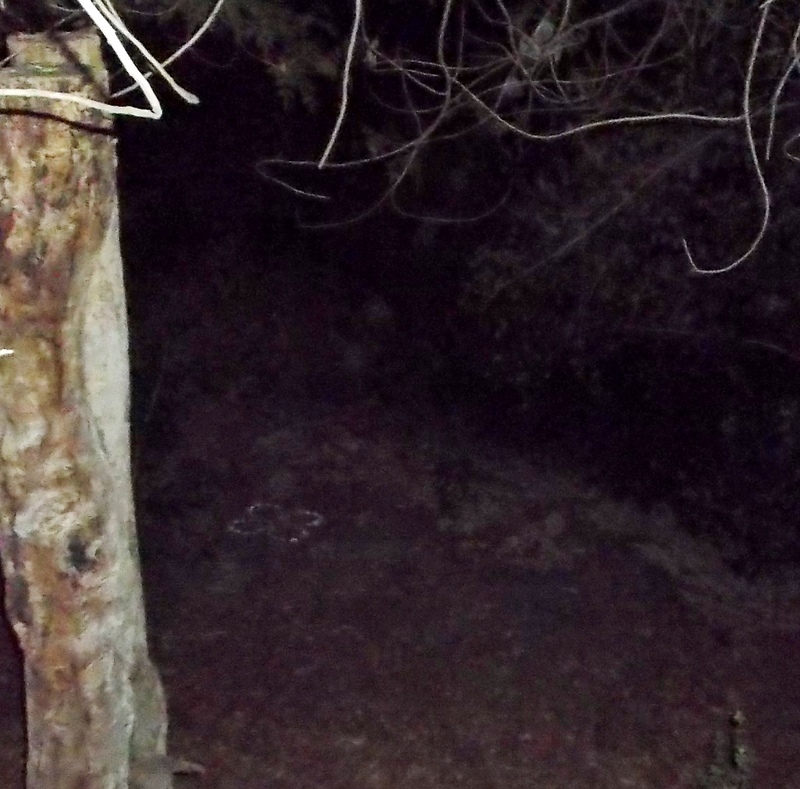 The photo below is of Ashura (Arnap) planting higher dimensional crystals from the deck of the Shem Arua around the node to protect it from being shut down again. Later in the year, a small ship was brought down into the circle to make an adjustment to the node, boosting its light-flow. This ship phased into 4D, but was cloaked throughout the half hour that it was on the ground. Read this post for the details. 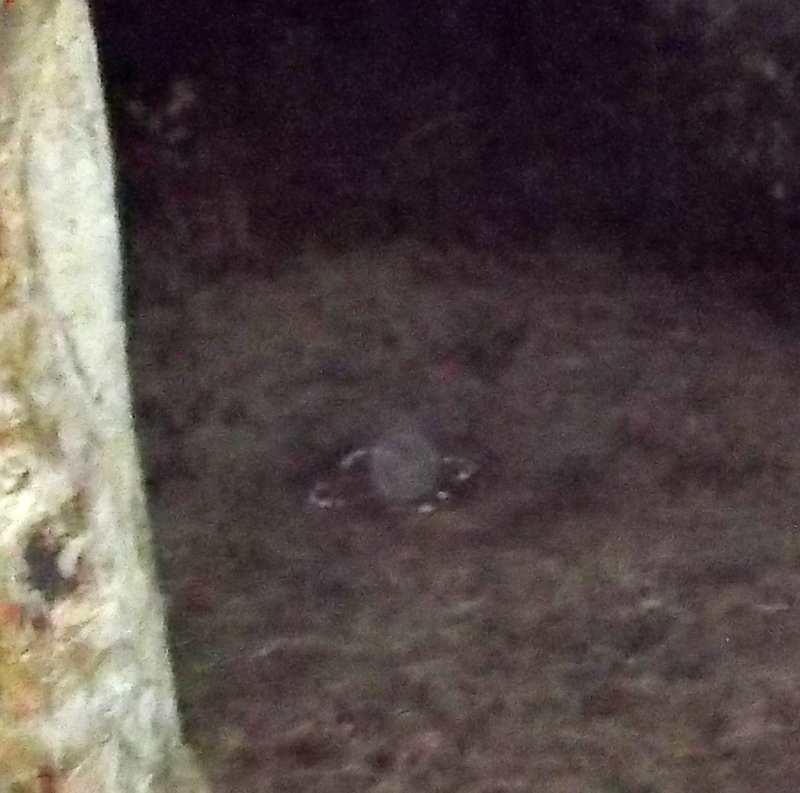 The small disc ship lands on the ground, into 4D, deeply cloaked. 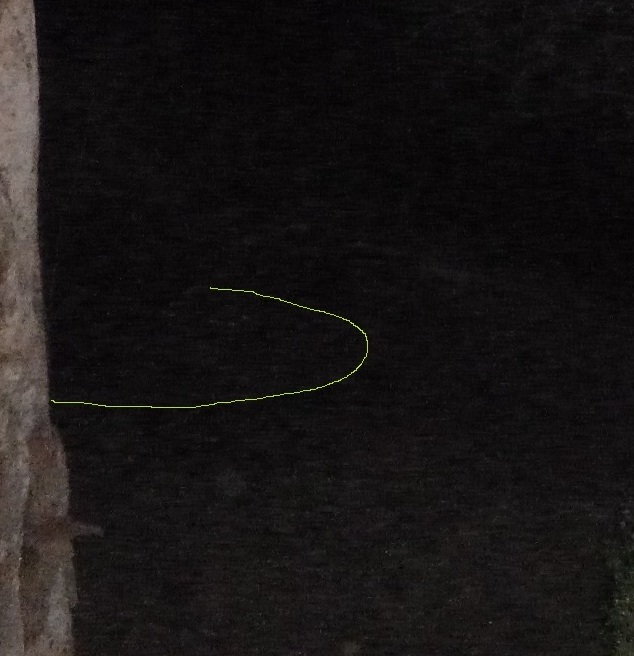 It’s rim is just visible; see second pic. The ship’s activated field had an incredible effect on the grove. 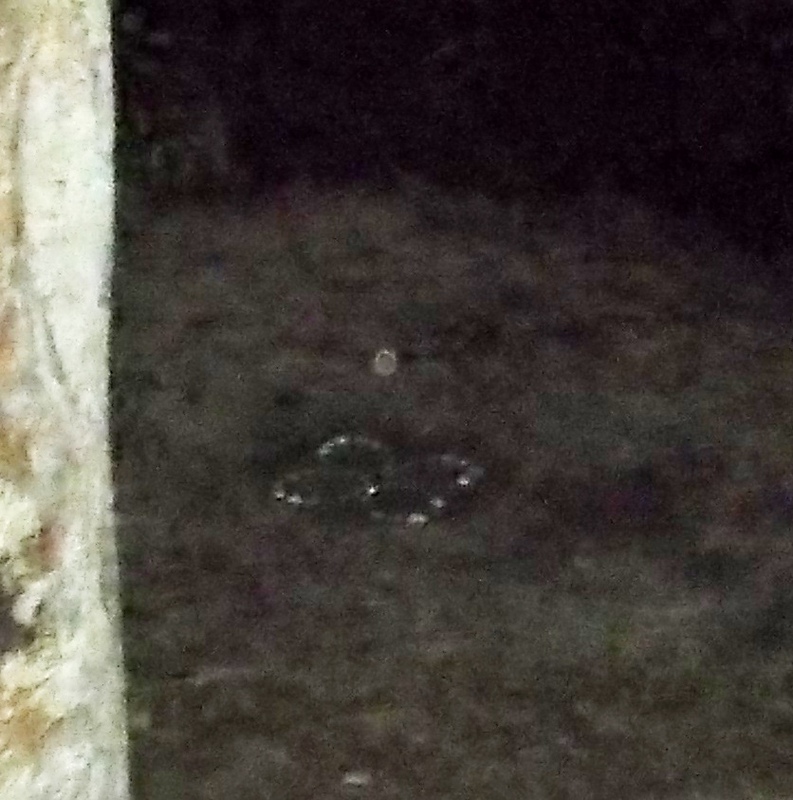 Orbs popped in and out (crossing dimensions) above and around it, and objects appeared and disappeared on the ground, as the ship’s field bent time & space around it – so there were objects (stones etc) momentarily appearing that had been/would exist in that spot in other ‘time moments’. 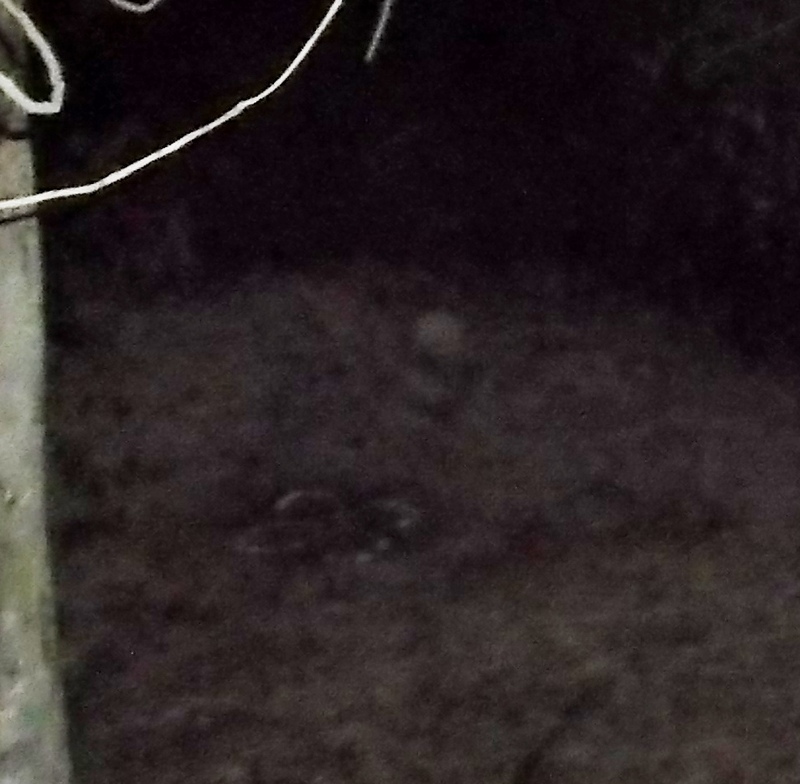 Right front of the circle, about 2 feet from it, a rock appears, then disappears. 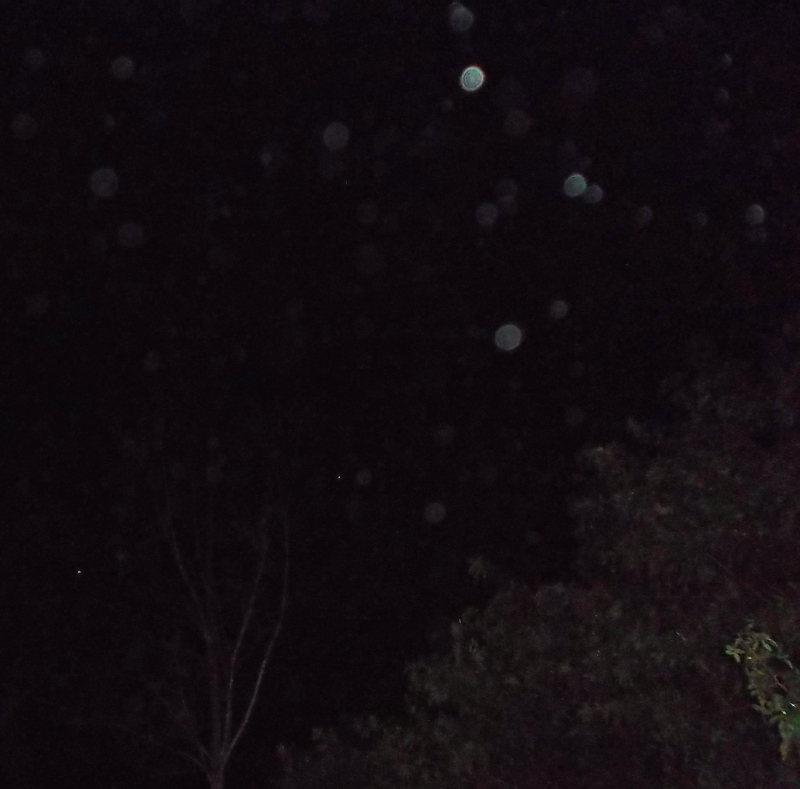 Orbs overhead, the night after the landing. 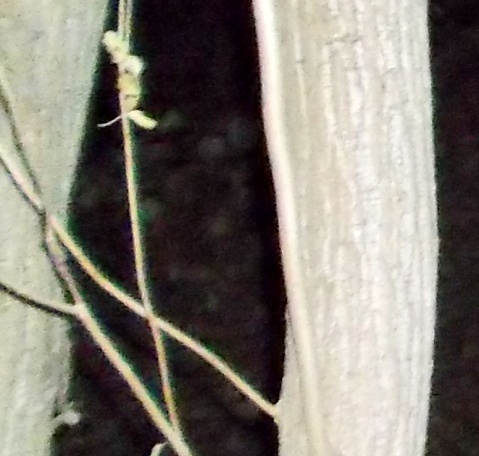 Following this activation, coming into summer (December 2014), the energy was flowing so high that a group of beech saplings sprouted and grew enormously fast (even though it was summer, when the trees normally conserve their growth energy, as it gets very hot and dry here) in a crescent shape on the eastern side of the circle. Reflecting the bow/arch/crescent form of the Mother energies and the rebirth of Gaia, in this small grove the curve of incoming life is beautifully created by beech saplings, called the Queen of Trees…as they magically sprouted in a crescent around the east side of the node, greeting the ‘new dawn’. 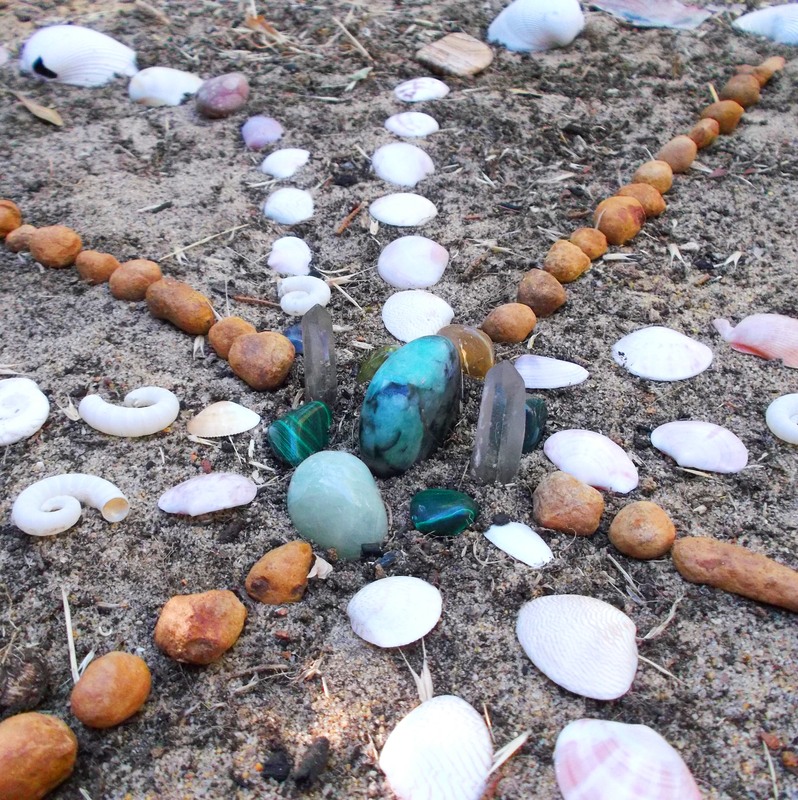 With Love to Gaia and all Life, big thanks and appreciation go out to all who are anchoring the light of love here in various ways. We all came in with unique missions & soul plans, yet with one goal of Loving this world, life and humanity into a higher frequency – of creating with harmony, peace, joy and unity. All week I’ve been hearing from Ashtar, ‘Keep steady, keep steady, keep steady.’ Keep steady, dear friends. Hold the vision of full convergence of higher densities into 3D. Keep pillaring the Light, whether as gatekeeper, portal opener, anchor, or conducting light through the body you are standing in right now. It all helps. Feel it, and stay calm and relaxed in your heart of love. Let any energy not of peace and love flow past, diffuse, and just send love. This entry was posted in Angels, Arcturians, Arnap/Ashura, Ascension, Ashtar, Ashtar Command, Dimensions, Gaia, Intergalactic Confederation, Isis & Sesherat, Lightships, Orbs, Sacred Geometry & Math, Sirians, Twin Flames & Twin Souls and tagged Arnap/Ashura, ascension, Ashtar, Beech Queen, ETs, Gaia, higher dimensions, light grid, lightships, orbs, Seshat, Sesherat, souls, spirituality, tetracross, Thoth, Twin Flames by Joanna. Bookmark the permalink. It’s wonderful that you could photograph the events as they happened. Very unusual and i appreciate your willingness to share them with us. Thank you. Thank you, Joanna, for your generosity of Spirit in sharing the magical moments of your journey with us.